In this video, you will learn how to properly execute shoulder flexion using a dowel. 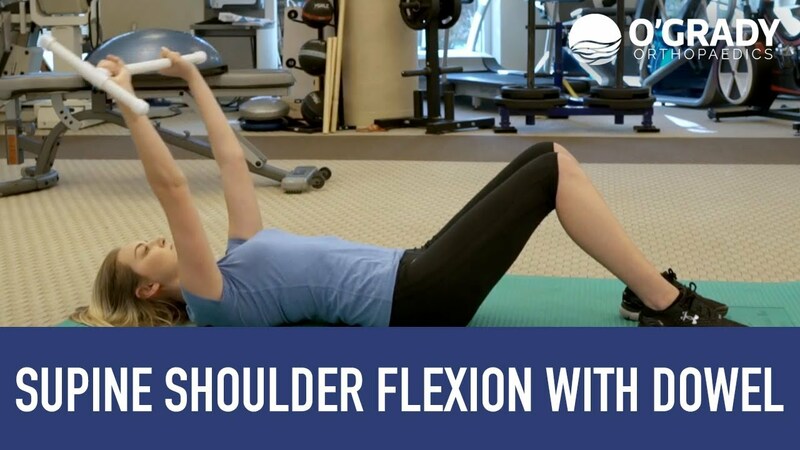 This stretch is beneficial for improving flexibility in the shoulder musculature before or after undergoing surgery, or after sustaining an injury. If you do not have a T-Bar available (as shown in video), a broomstick or golf club can be used. This exercise can be done 2-3 times daily, at 3 sets, 10 repetitions, with a 3-second hold at the bottom of the motion. NOTE: Consult with your doctor or physical therapist before completing this exercise.